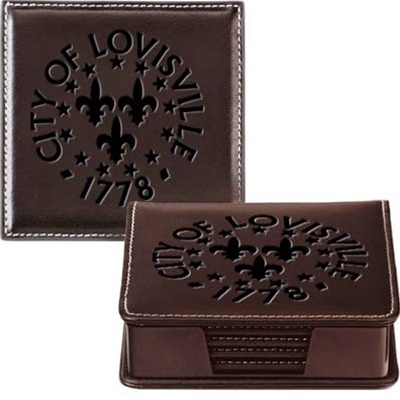 Four sleek leather coasters in their own gift box, each with the Louisville Vintage Seal in relief on the top. Contrast stitch, firm padded styling, and velvety backing. Comes packaged in a leather-wrapped, hinged box.